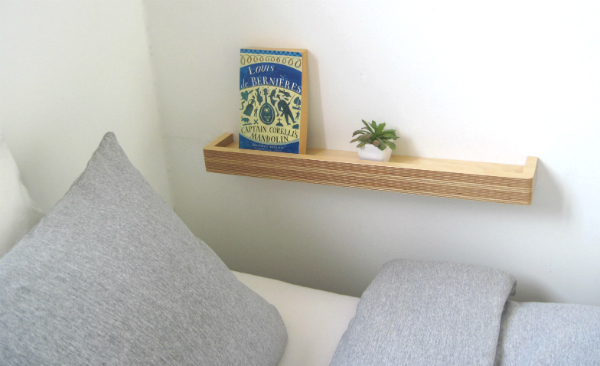 Slimline Floating Shelf is ideal for use all around your home wherever you need extra storage. 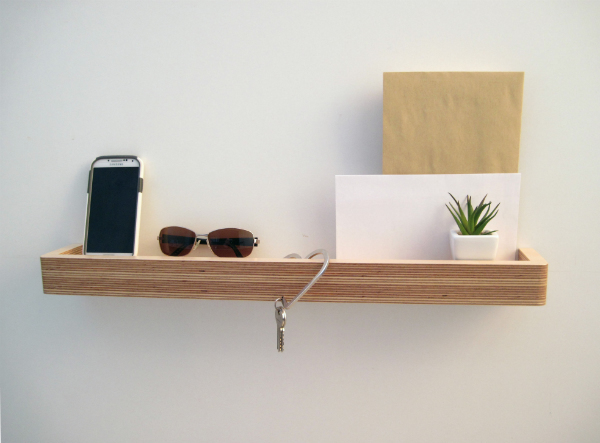 The slim width of these floating shelves makes them ideal storage solutions for small spaces. And that runs all the wall round helps keep items secured on them. Designed by Samuel Ansbacher, it is inspired by Scandinavian design with rounded edges and exposed layers. 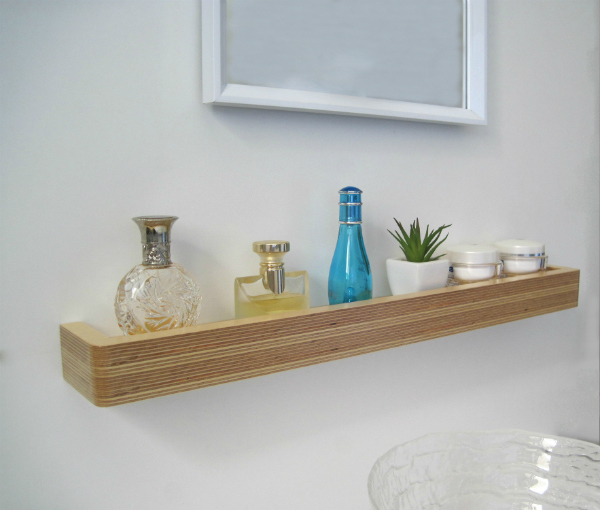 The wall shelf is handmade in solid birch ply, and will help to enhance any contemporary interior. Highly functional, they can be used as a bathroom shelf, as a landing strip in an entrance hall or spice rack. They can even be used as bedside tables for a small bedroom where there isn’t enough space for a standard size nightstand. 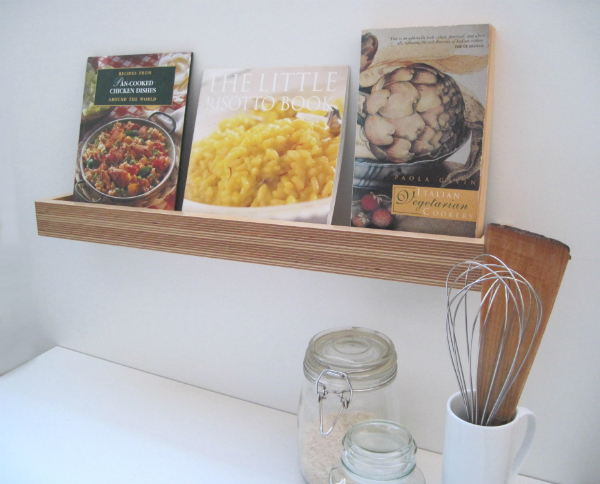 The floating shelves can also be used more decoratively: to display recipe books in the kitchen, or coffee table books in a living room. Or how about using them to make a feature of small plants?